The Varsity O Alumni Society shall advance the best interests of former varsity athletic letterwinners of The Ohio State University by promoting fellowship, good will, athletic excellence and professional relationships among the alumni, current student-athletes, athletic department staff and friends of the Society, and give recognition to outstanding athletes, coaches and supporters of the University through the Ohio State University Athletics Hall of Fame. 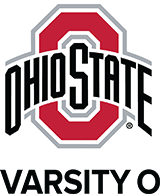 It shall be an integral part of The Ohio State University Alumni Association, Inc., the official alumni organization of the University. The Society will also promote and support the mission of the Association.